On street parking. Please watch out for South End Resident permit only parking. There are metered spots on Tremont Street and Washington Street (parallel to Shawmut Avenue). Please contact Gina Ciccotelli at Gina@CoppaBoston.com for more details on private and semi- private events. 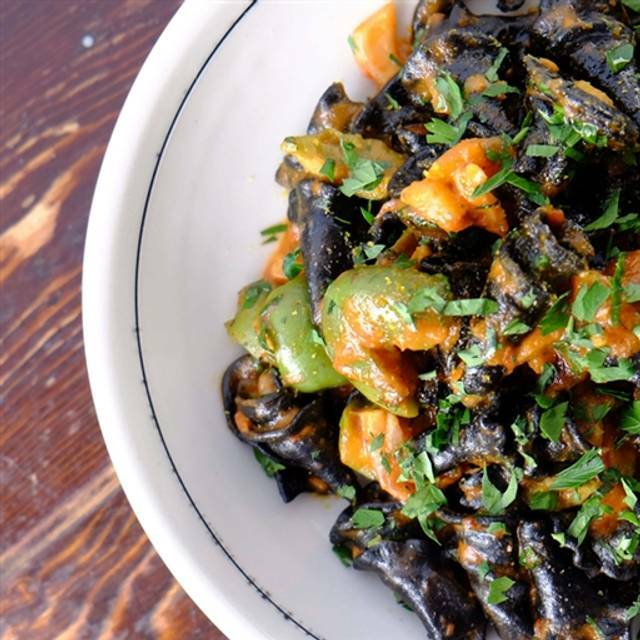 Coppa is an intimate enoteca tucked on a quiet side street in Boston's South End featuring Italian small plates created by James Beard Award-winning Chefs Jamie Bissonnette and Ken Oringer. Everything is made with locally sourced and sustainable ingredients. 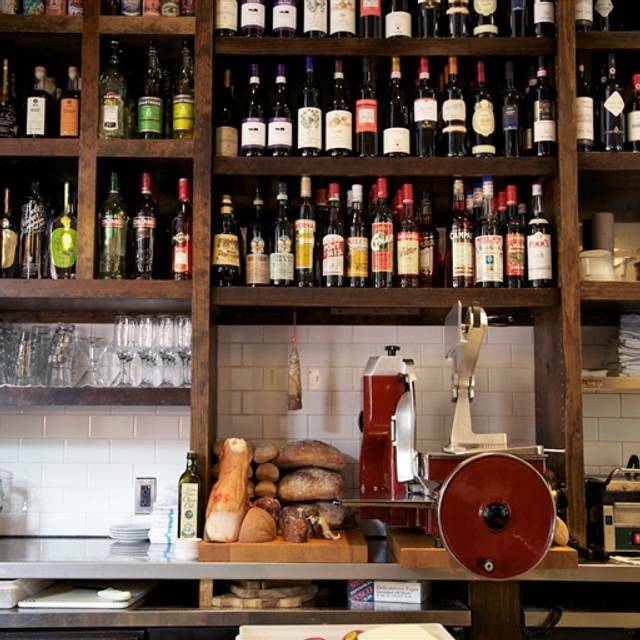 Coppa has an eclectic wine list, and unique cordial-based cocktails. Please note that our patio is first come first serve and reservations are not accepted for outdoor seating. We only accept reservations for the dining room. A few tables as well as the bar are saved for walk ins. Due to our cozy setting, for reservations of parties over 4 people please call Coppa directly. 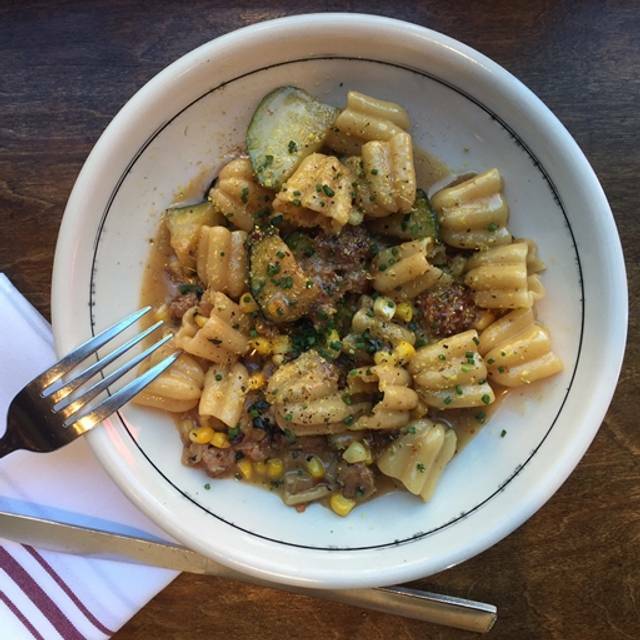 As Coppa is a small intimate restaurant with limited seats, we do ask if you are running late to please call and alert the host. If the party does not show up, the table is given away after 15 minutes. Thank you in advance! Three choices for 15 or five for 25. Very nice people. Food was a little too spicy and salty for our taste. Tables are very crowded you can't move. Excellent food and service. Highly recommended for the asparagus and pizzas. Warm service. Always great. The grinder is my favorite. Every dish that we ordered was delicious and well presented. Service at Coppa is awesome, and we enjoyed sitting outside at a patio table. Love it every time! One of our go-to neighborhood restaurants. Tough to beat. We went here for my birthday and had an amazing time. The service and the food were 10/10. We asked our waiter for several recommendations and we were very happy with all his suggestions including appetizers , pasta dishes and wine pairings. I have been waiting to go to coppa for a long time now and it did not disappoint. I will be making another reservation soon! They accommodated our large party and we had an amazing meal! Our server Riley was amazing and really knew the menu. Everything we ate was delicious! Coppa is a SouthEnd must!!! 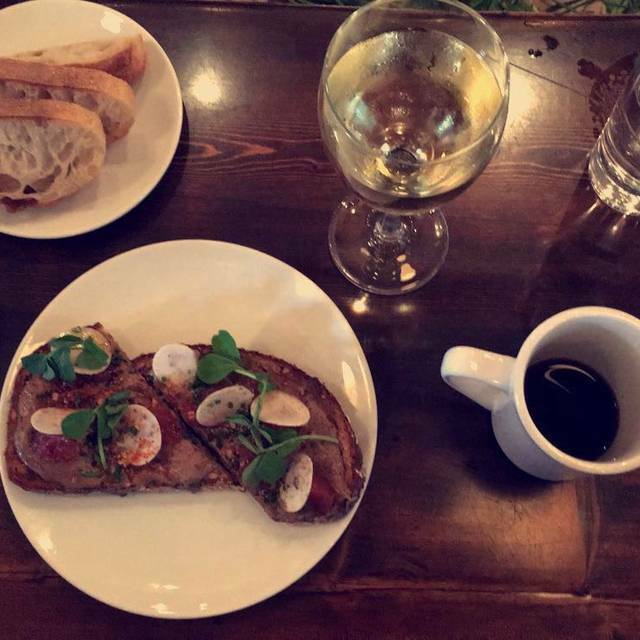 My boyfriend and I went to Coppa for the first time and loved it! 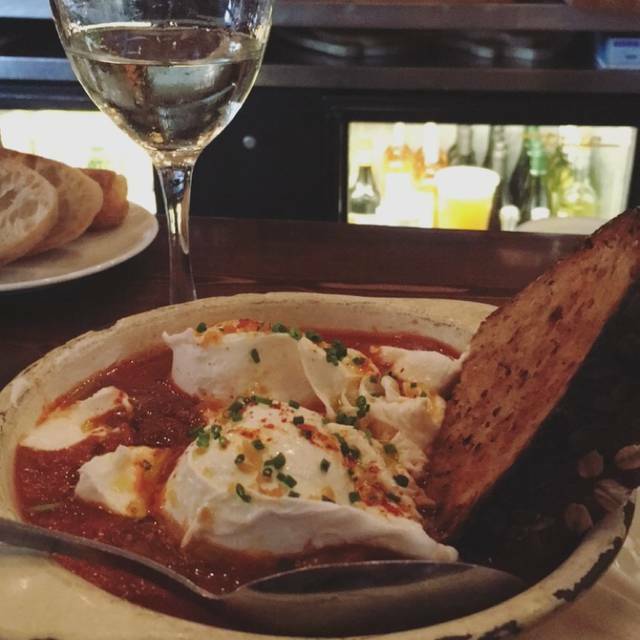 We got the Burrata, Polpette (meatballs), Costolette (short ribs), Tagliatelle and Midollo (bone marrow pizza) and Zeppole (ricotta donuts). 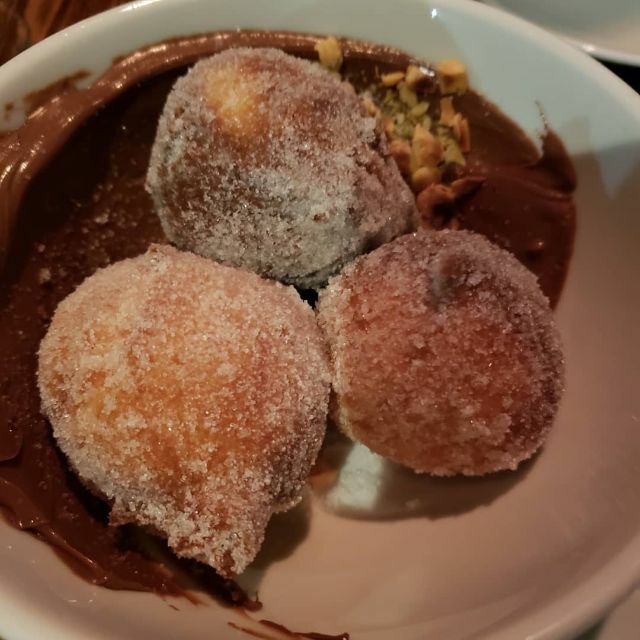 I would say my favorites were the meatballs, tagliatelle, and the Zeppole. I honestly can't stop thinking about how good the donuts were!!! Interesting "Italian Tapas" restaurant. Unusual and interesting menu choices which is good. Very noisy. And crowded. Favorite restaurant in all of Boston. It doesn’t matter if I’m just stopping by for lunch or celebrating a special occasion I always feel welcome and the food is consistently delicious. Coppa is always a pleasure. They were gratious about moving our reservation to much later when we were stuck in traffic enroute from nyc, even tho it was a busy evening. The salumi board alone is worth a visit and it just gets better from there. Much love. Food was very late. Waiter kept spilling water on table. 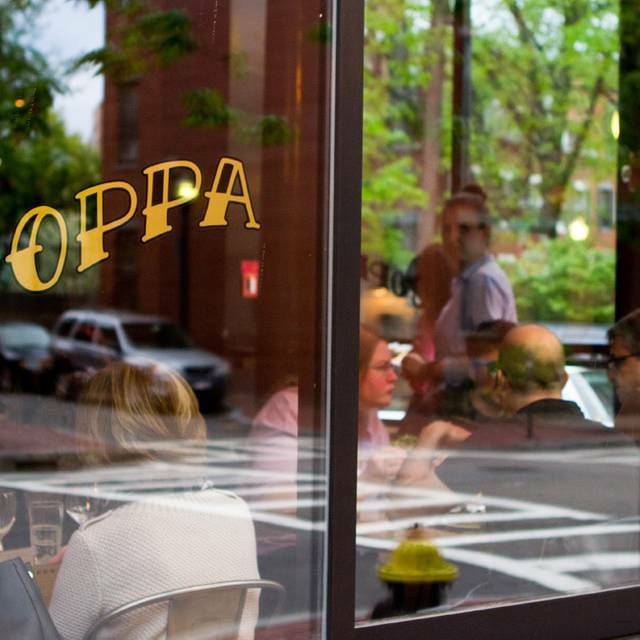 Coppa is one of our favorite places in Boston. Hands down our favorite restaurant in Boston. Small, personal, romantic, exquisite! The Prosciutto di Parma and the Tagliatelle have been constant favorites, but we've never been disappointed by anything on the menu. 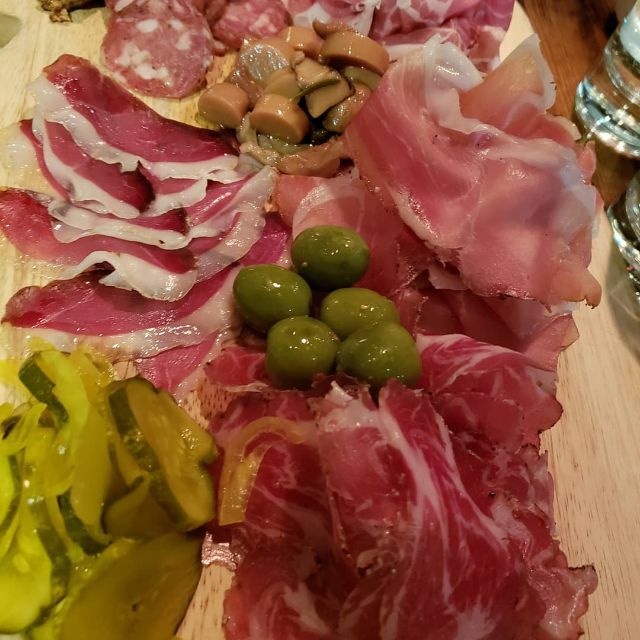 Whenever we want a special night in the South End, we check Coppa first. One of my favorites-- never disappointing-- one of the best wine lists in Boston and the house made pasta is unspeakably good! Ordered 5 kinds of salumi and 3 types of cheese. Waitress was very knowledgeable and kind. Came with crackers, sweet walnut snack, marinated mushrooms, dijon mustard and jam. Was so tasty. Ordered the pizza with burrata. Was so good. Was spicy though unexpectedly. I would modify next time. My bf also ordered a pizza and we couldn’t finish even though we went in starving. Always fabulous food and service here! Nice neighborhood spot for a casual or a quick bite. Service was amazing! Loved the ambience. One of us felt the food was slightly under spiced but overall would highly recommend! I always have a fantastic experience at Coppa. The service is on point, and I have recently used their Gilt City vouchers which is a phenomenal deal. It's a go-to recommendation for friends/family/visitors! Coppa was excellent. The staff was SUPER friendly, they were accommodating to us with some special requests we had during our ordering; even when I was being picky! Separate from that, everything on this menu is cooked to perfection and to die for. They HANDS DOWN have some of the best pasta in the city. The combination of romantic and gorgeous ambiance, UNBELIEVABLE food, and world class service/goodtimes/fun music makes Coppa a MUST return. Blown away by the food and sweet set up the first time I went there...so went back the next day. Seriously though, they’ve nailed it with food. So much variety as far as meat and cheese. Pasta was insane. You can literally taste the talent and hella love they put into each dish. Workers were great. I’m assuming it was the MOD who managed the host stand, as well as walking checking up on all his guests - he was lovely and welcoming! Brownie points for carrying bottles of Luisa - which is my middle name - and has naturally made this place my go to spot whenever I visit Boston!!!!! always a great meal. interesting and delicious small plates. Just perfect for a lighter dinner with lots of flexibility. The special pizza was fabulous! Excellence requires service leadership and MCPC (Mass-Customized, Personalized, Co-created) hospitality. coppa's GM Ryan Millian leads by example. My guest and I both had incredible lunches-- sedano di cesare, polpette, lo squisito piatto caldo di porco Iberico, et RIGATONI (madonna mia! ti fa morire. . .) Hey to Shane, Sam, and was that Billy I saw in the kitchen? It's been way too long. . . and it felt like coming home. Thank you so very much. Used a Gilt City coucher and the multi-course tasting menu created for it was awesome. Would have been great if dessert we’re included, but in the end we barely had room for more. Went for my birthday and as always had a delicious meal with awesome service. Miss the half pasta option and now the full size is way smaller than the old full pasta for the same price (or even more). Great food, terrible value. 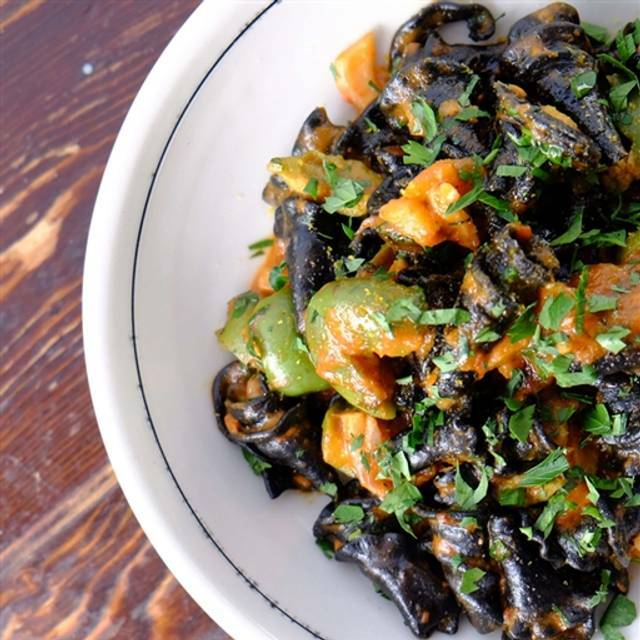 You can get more pasta for your buck that’s just as good or better quality at Cinquecento down the street. And it’s a lot easier to get a seat since it’s larger. Always a fantastic experience! Can't help myself from going back again and again. Food was great but (same) dessert portions varied wildly. My friend received half of an already-tiny scoop of gelato while mine was full. Considering it’s an $8 dessert, it seems cavalier to not be more deliberate about portions. Service was kind of rushed too. LOVE Coppa!! It’s delicious and the service is perfection. To put it simply...perfect dinner from start to finish. Who would of thought that I’d eat a Celery Caesar Salad? Not me! Get thee to Coppa! Food was great! The service wasn't the best. Thankfully, we were in no rush to be anywhere so it didn't bug us but just something to keep in mind. The ever-talented bartender always does wonderful and very memorable infused vodkas and mocktinis. It's a good thing we were parked nearby because post- dining swooning can be unconducive to walking. This place was awesome, very small, food was delicious, fun for sharing, eclectic cocktail menu, only small criticism, chairs are not very comfortable and dress warm on a cold night!